Digital X-rays allow us to diagnose and treat you with the highest standard of care. With Digital X-rays we reduce waiting time as they develop instantly; this means shorter appointments. Because the digital sensors are significantly more sensitive to x-rays than the fastest film, our patients are exposed to only a fraction of radiation than in the past. We display your x-rays prominently which gives you a better understanding of your treatment and condition. 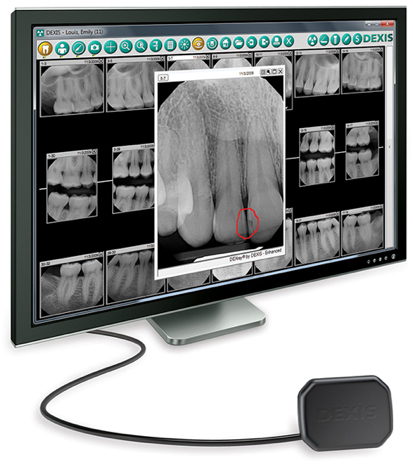 Computerized diagnostic tools are available to help us analyze your X-rays. We use the industry leading highest quality DEXIS sensor.